UK Family Law. Fast, easy to use and legal. Legal issues concerning family matters can be some of the most difficult to navigate. But this task can be made less daunting by using professional, clear and well-crafted agreements that balance the needs of all parties. Family Law forms including those related to divorce, separation, child custody and guardianship. Forms used by parents and legal guardians to grant permission to their children to participate in various acitivities. Other forms set forth the terms of care of children and the elderly by another party. Parental Permission and Medical Consent with Liability Release (England and Wales) This Parental Permission and Medical Consent With Liability Release is designed for use in England and Wales. This legal form is available for immediate download. Parental Permission and Medical Consent (England and Wales) This Parental Permission and Medical Consent form is designed for use in England and Wales. This legal form is available for immediate download. Wedding Service Agreements Combo (England and Wales) Get 8 forms for just $29.95. Save 58%! This Wedding Service Agreements Combo is designed for England and Wales. This combo package is available for immediate download. Family law refers to a broad spectrum of issues surrounding the raising, support, and sometimes separating of a family. These issues can include issues as simple as parental permission for contracts to more serious divorce and separation settlements and arrangements. In essence, the term “family law” in this context simply refers to contracts, forms and agreements based upon issues surrounding the family. Family law’s wide umbrella covers not only marriages and divorces but also issues such as child support and even the emancipation of minors, meaning that it does not only extend to divorce law and spousal relationships. 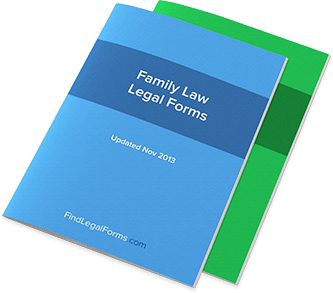 What situations might call for Family Law related documents and agreements? Marriage and Divorce: This aspect of family law could appropriately be described as its own category because of the complications of both structuring a marriage and legally separating one. Child Support: Another issue linked to divorce, child support is considered part of family law because of the obvious relationships involved. Custody and Guardianship: Sometimes, two people who are unrelated biologically can find themselves in family law situations, such as during the adoption process. Cohabitation Issues: You do not have to be related to someone or married to them to face family law type issues. Cohabitation arrangements are an example of a situation that might require that family law-type documents come into play. Each of these categories are considered entire sections of law in and of themselves, so don’t make the mistake of assuming that knowing one type of contract or legal form will mean you know them all in the world of family law. When applying the knowledge of family law contracts and forms to your own life, it’s best to be specific about your needs and understand how to do things right in your state. How do I find the contract or form that works for me? The best place to start is at the top and work your way down towards the downloadable form that best suits your individual needs. For example, if you are having problems with child support, you should first investigate those types of forms and issues. Read into the individual forms to see which is the one you need – and be sure always to use the form that is written specifically for your state. Of course, it’s important to consult with a lawyer if you have one, but keep in mind that many of the forms you have at your disposal often circumvent the need for a lawyer because they have already been prepared by legal professionals. What kinds of agreements are most relevant to a marriage? If you’ve done some researching, you’ll likely have heard of both pre-nuptial and post-nuptial agreements. Both of these agreements essentially serve the same purpose: to define which property belongs to which party, and to provide the groundwork should a legal separation ever occur. The main difference between the forms is when they are signed: before and after the nuptials. This means that a post-nuptial agreement can still be signed during a marriage. Additional forms relevant to a marriage could include everything from parental permission forms to custody and guardianship issues for couples that are adopting. I’m getting married soon. What kind of forms should I be looking into? If you’re getting married, then you know just how difficult it can be to plan everything and expect everything to go off without a hitch. You will, however, want to add to your plate by putting in some additional thought into what kind of family law documents (if any) that you’ll want to sign. One prominent form you’ll want to think about is the pre-nuptial agreement, as this agreement can have a tremendous impact on any potential future separation requirements. However, it’s also important to remember that a pre-nuptial agreement’s role is more than in preparing a separation; it also helps establish how the legal and financial ends of the marriage will be managed. Because these forms require both you and your future spouse to sign them, you’ll want to talk it over well ahead of time with your spouse if you’re planning on broaching this topic. These forms are generally for couples that want to move in together but do not want to formalize their relationship as a marriage. Because of the risks of moving in together, many couples believe that setting the ground rules in writing early on can help mitigate any potential disaster. For example, a Cohabitation Agreement will state that earnings are separate property and lay out what should happen if one party is unable to pay rent. This agreement is a great example of how one can still be responsible even if marriage is not planned. My ex-spouse is late in paying child support. What do I do? Typically, the first response to this situation is to use a Child Support Payment Past Due Notice. This formal document will help you to establish that the past due notice was put into writing as well as document the fact that the payment has not been made. Typically these types of notices are actually sold in “kits” to help guide you along the way, especially if this is the first past due payment you’ve ever had to deal with in the realm of child support. What is the Emancipation of a Minor? Minors can sometimes be released from the guardianship of their parents with the Emancipation of Minor form and with a court’s approval. However, it’s important to note that these types of document are highly dependent on the laws and regulations governing them on a state-by-state basis; it may not be as easy for a minor to file for emancipation in some states as it is in others.